Screen Capture courtesy of the NBA/YouTube. The visiting Houston Rockets came into a hostile Oracle Arena down 2-1 and came out with a hard-fought victory over the Golden State Warriors 95-92, tying the Western Conference finals at two games apiece. 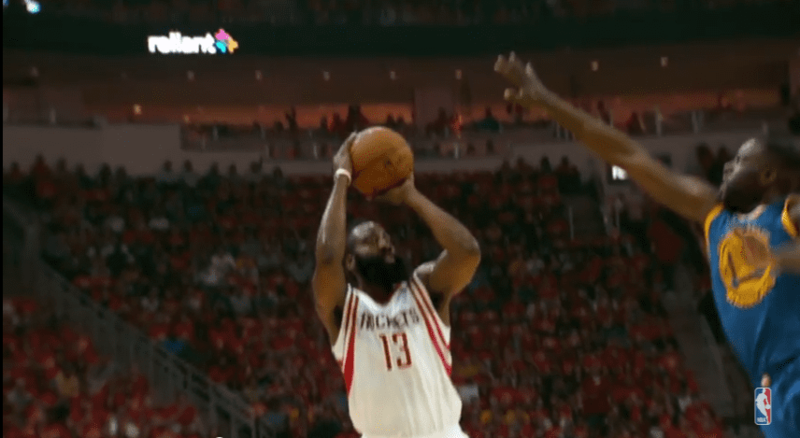 James Harden led the way for the Rockets with 30 points, four rebounds, four assists, and three steals. Not to be outdone, Chris Paul knocked down five three-pointers on his way to 27 points to go with four assists, and two rebounds. Clint Capela (13) and P.J. Tucker (16) hit the boards hard for Houston combining for 29 of the Rockets 41 total rebounds in the win. Stephen Curry scored 28 points while Kevin Durant put up 27 points and 12 rebounds in the loss, which ended their NBA-record postseason home winning streak at 16 games. Game 5 is set for Thursday night at Houston.